Winter Training is here! For those spring rowers who are not participating in another winter sport, practice begins tomorrow, Monday Jan. 28 in the Mercy Middle School Gym. Please come dressed ready to practice. Be sure to wear appropriate workout clothing and athletic shoes and don’t forget a water bottle. For all other rowers/ parents, please note some of the other relevant information in the email below. Please note there will be No Practice on Friday due to there being No School. Lightweights please complete your certifications by Wed. Jan. 30. See below for information about Junior Day events at Canisius College (Sat. Feb. 2) and Cornell University (Sat. Mar.16), as well as information about Rowers and Coxswains Clinics at Cornell (Sun. Mar. 17) and upcoming US Rowing ID Camps. Our Mercy Sports Boosters Parent/ Student Concessions/ Admissions Volunteer Day is rapidly approaching on Saturday, Feb 2nd. Please volunteer if you have availability that day. We still need 3-4 concessions volunteers for the Varsity basketball game at 1:30. See below for the signup link and further information. Also, please encourage any friends or classmates that may be interested in rowing this spring with Mercy Crew to give it a try and join us for the first week of Winter Training free of charge. Please feel free to convey any questions or concerns you may have by emailing the coaches at allcoaches@mercycrew.org or Coach Adrien at coach.adrien@mercycrew.org. 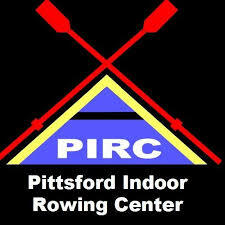 All Tuesday Winter Training practices will be held at the Pittsford Indoor Rowing Center from 7:30-9:00 pm, not the Mercy Middle School Gym from 3-5. There will be two way traffic navigating the hill down to the building, it can be slippery and there will be another team leaving as we arrive, parents and driving rowers please yield as needed, be safe and take it slow. ​Please arrive 5-10 minutes early to warm up, so we can start promptly at 7:30.